The 45th annual Stuart Boat Show presented by INFINITI, the Treasure Coast’s largest boat show, returns to downtown Stuart Jan. 11-13. Show producer, AllSports Productions, said the expo is already 98 percent capacity for exhibitors. Special guests this year will include Paul Herbert from the NatGeo TV show Wicked Tuna, who will be at the seminar tent to talk about his experiences. 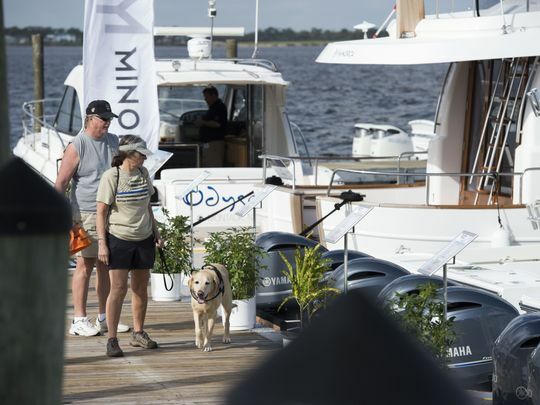 The boat show generally is used by boat manufacturers as a preview to the Miami Boat Show in February, so Stuart Boat Show attendees typically see the latest and newest models hitting the market for 2019. Improved parking and shuttle service will help attendees get to and from the show. A complete map of parking locations is available on the show’s website. The show has added parking at Witham Field. Uber and Lyft also are available for attendees.